Witnessing two siblings fighting to the extent that a setting a border is necessary hurts. When it happens to two countries, the measures taken to settle such disputes can be hot or cold. The North-South dispute nearly divided America and resulted in a Civil War, but President Abraham Lincoln was still able to unify the country. The dispute in Vietnam, on the other hand, had to be settled by war. The War that separated East and West Germany ended with of the Cold War. Different political sections of China in another case, was unified by a revolution, except the Island of Taiwan, that still calls itself the Republic of China. But, why are South and North Korea, two siblings born in the same peninsula, still preparing for hostilities against each other? Tensions resulted from the persistent disputes in Korean Peninsula can be noticed almost everyday on the world news, showing no sign of reassurance. North Korea once threatened the U.S and other countries in the region through the testing of its intercontinental ballistic missiles (ICBM), capable of reaching Alaska, in the United States. Meanwhile, South Korea and the US hold a joint military maneuver with real ammunition, causing the North to accuse the US of pulling the trigger if a war actually happens. Australia has been concerned with the threat in Asia and intention to ally with the Korean peninsula tense if North Korea is to be the one who put the finger on the trigger. In the meantime, the People’s Republic of China has been playing an important role: preventing North Korea, its closest ally, from going too far. The crisis is rooted in the division of Korean Peninsula into two blocs, each one with opposite political ideologies: Communism/Socialism and Republic/liberalism as the past. The North is supported by China and Russia, and the South by Japan, the US, and potentially, Australia. The dispute, more importantly, could affect the security in the Asia-Pacific, including Cambodia. When the two sides are pointing warheads to each other, Cambodia could also be a victim although it would not be participating in the conflict if any missile falls on ASEAN territory. Thus, ignoring the threat by the North is not really a good option for the Kingdom. There are roughly 50,000 Cambodian workers, both legal and illegal, in South Korea, according to the statistics from the Ministry of Labour and the Cambodian Embassy in South Korea. The negaive impacts on them will be inevitable if the dispute involves into arm conflicts in the Korean Peninsula. According to the conclusion from the third meeting of the third Council for Security Cooperation in the Asia Pacific (CSCAP) on Nonproliferation and Disarmament (NPD) in Auckland in March 2017, I attended the case study meeting, the key findings show that Asia-Pacific countries have improved on adherence to nonproliferation and nuclear security instruments, but implementation still lags behind in many states. Implementation gaps stem from lack of capacity, lack of awareness, and/or lack of political will. However, the meeting gave advices that CSCAP and the ASEAN Regional Forum (ARF) should focus on raising awareness and capacity-building, while encouraging states to exercise the political will required to come into full compliance, especially in the effort to deal with countries with nuclear weapon like DPRK as a nuclear-armed state. 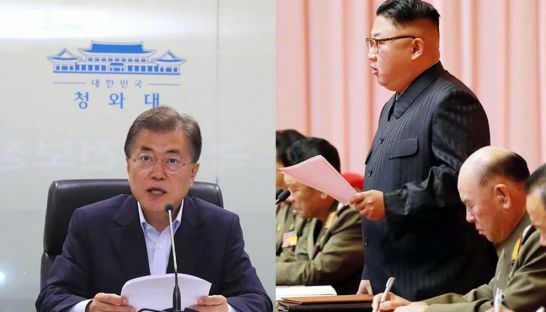 One of the most viable options is to renew negotiations in order to prevent war in the Peninsula and the entire region, as well as implementing the United Nations Resolution 2270 and 2321. In response to the statement in this meeting, the Royal Government of Cambodia could try playing the mediator role to build peace for both Koreas since Cambodia has good conditions and relations with both countries. The tie that the Kingdom has with the North is the legacy of King-Father Norodom Sihanouk even though there are only a few North Korean investments in Cambodia. South Korea, meanwhile, is tied to Cambodia through large private investments and tourism. Both have their embassies in Cambodia, unlike the One-China policy, in which China has the embassy in Cambodia but Taiwan doesn’t have. 1) The government can invite most senior officials from the two Korean embassies to have dinners together and discuss the issues. 2) The RGC could play a role as mediator by inviting official from both embassies to a meeting on their development and key challenging to address their tensions of their countries. Then Cambodia could offer any advice and share its experience about the long time civil war and the genocide, resulting in million of its people’s death while the country could not manage its responsibility to protect (R2P) its people. Moreover, Cambodia can recall its prior-peacebuilding, starting with the invitations of the Khmer leaders of the four conflicting parties to a meeting in Jakarta hosted by Ali Alatas, former Indonesian Foreign Minister before reaching the signing of the Paris Peace Accord on October 23rd, 1991. Moreover, Prime Minister Hun Sen should share the lesson learnt about his “Win-Win Policy” to both Koreas. Especially, Cambodia also has Cambodian Institute for Cooperation and Peace (CICP) as think-tank to provide consultation over regional issues. Besides, if Cambodia doesn’t succeed in this mediator role to facilitate the two parties, the government could be showing its lobby and advocacy to China, who is the principle actor in the Korean peninsula crisis since the Kingdom is one the closest allies to Chinese government. To encourage China to play a coordinating role to address this conflict, North Korea may accept some of its advices. In the past, Prime Minister Hun Sen has sometimes publicly spoken by comparing the Korean Peninsula crisis and the War in Syria to what happened in Cambodia, causing people to be fed up with fear when they hear the word “war”. In conclusion, it will be a great pride for Cambodia if it succeeds in peacebuilding in the Korean Peninsula and the region, as it also reflects its strengths in building its local peace and political stability. Previous Post Why National Hospital Service Delivery remains ignoring the poor?